Guangzhou Cheng Hao Scent Technology Co., Ltd.
Guangdong Grasse Environmental Technology Co., Ltd.
Q3. What is the delivery date for a sample9 Usually about 1-3 days for items with general requirements. Q4. Are your products conforming to our standards9 Yes, our products can pass the testings as you require, e.g. Of course, we could accept small trial orders for certain items. It uses advanced atomization technology to make the liquid oil into fog ,then can diffuse the fragrance into the air quickly . Most importantly, the PCB controller has a encryption program to lock the function after your setting. One of our factory mainly manufacture empty aerosol tin can, provide Iron-Cutting and Iron-Printing service. These micro-particles are dispersed into the air and provide therapeutic benefits for the body, mind & soul. &middot; High credit for our clients with high quality level and competitive price High quality is our life. &middot; High quality design support Our professional design team support us as the leader in this filed in the past 3 years. Foshan Sixu Electronic Technology Co., Ltd.
We are committed to provide a healthy and green breathing environment for every customer. 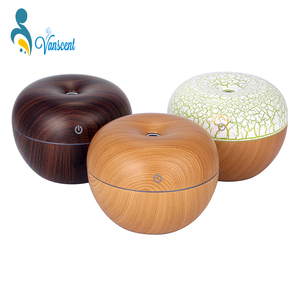 Our products include electric aroma diffuser ,battery aroma diffuser . Our model include large scale diffuser ,middle scale diffuser ,small scale. Shenzhen Hidly Industry Co., Ltd.
Shenzhen Cacami Technology Co., Ltd.
Guangzhou DANQ Environmental Technology Co., Ltd.
Guangzhou Aroma Technology Co., Ltd.
Zhongshan Invitop Electrical Co., Ltd.
- 100% Quality Control: We do 100% inspection for all of our production from raw materials to complete products. We are not the biggest one in volume, but we are the one who cares customers' needs and requirements. The oil itself in most models is heated in the water bath, and so is similarly gently released as a very, very fine vapour. 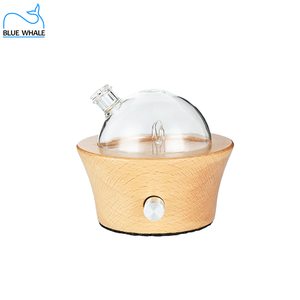 Alibaba.com offers 1,634 aroma oil dispenser products. About 59% of these are humidifiers, 16% are air fresheners, and 1% are flavour & fragrance. 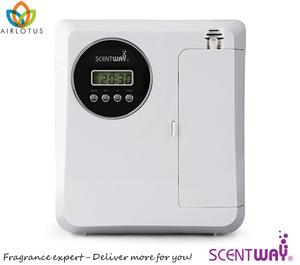 A wide variety of aroma oil dispenser options are available to you, such as ce, cb, and ul. You can also choose from cool-mist impeller humidifier, ultrasonic humidifier, and warm mist humidifier. As well as from tabletop / portable, central, and mini. And whether aroma oil dispenser is manual, or humidistat. There are 1,663 aroma oil dispenser suppliers, mainly located in Asia. The top supplying countries are China (Mainland), Taiwan, and India, which supply 98%, 1%, and 1% of aroma oil dispenser respectively. Aroma oil dispenser products are most popular in North America, Domestic Market, and Western Europe. You can ensure product safety by selecting from certified suppliers, including 586 with ISO9001, 51 with Other, and 50 with ISO14001 certification.